To make plant-based cooking convenient and fun, equip your kitchen with a vegan pantry. In the list below, you will find a variety of items that are especially important for plant-based cooking. It includes beans, grains, pastas, and tomato products, along with ingredients such as tahini, salsa, peanut butter, and chutney, all of which add to your creativity in the kitchen. 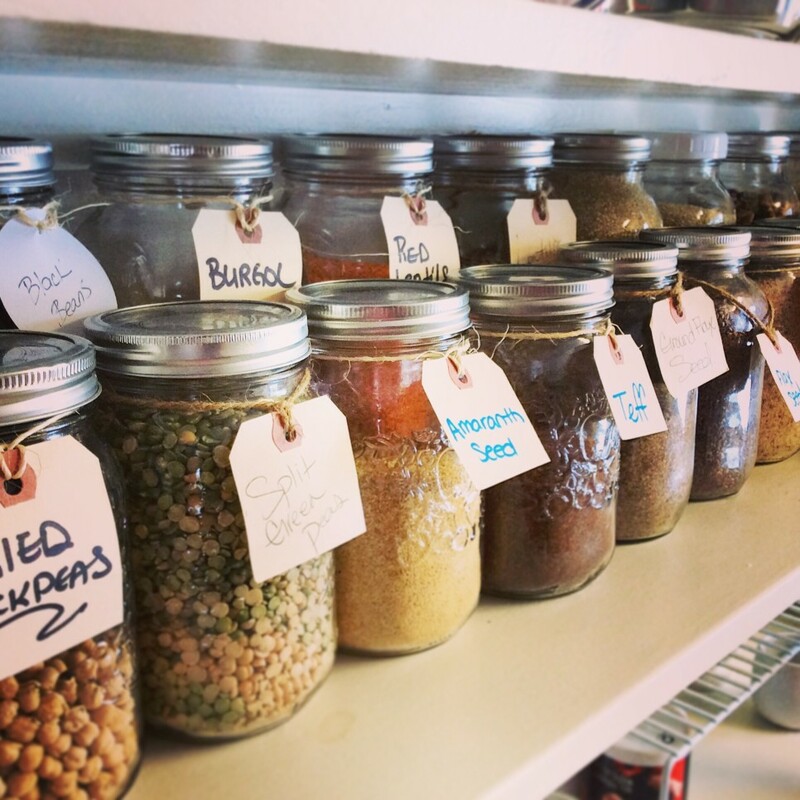 Certain perishable ingredients are vital to a vegan pantry. These include seeds, nuts, whole grain flours, and oils, which can turn rancid. So, after being opened, it’s best to get these out of the pantry and into the refrigerator. Other ingredients to keep on hand are dried herbs, spices, vinegars, sea salt, and other basic seasonings, as well as baking items such as baking powder, baking soda, extracts, and thickeners. Fresh ingredients are also important to the list, so if you are not already in the habit, keep onions, celery, and carrots in the fridge drawer, along with fresh lettuce and other salad fixings, and a variety of vegetables and fruits. Have on hand lemons, limes, garlic, fresh ginger, olives, and fresh herbs whenever available. Also keep handy tofu, tempeh, seitan, veggie burgers, and other products you may use such as vegan sour cream, vegan cream cheese, and vegan mayonnaise. There is no need to stock every item all the time, but choose the items you will regularly use, and purchase others as you need them.